It’s been really hard for me to write a review about this one because I mostly just want to talk about how it ended! And how there was one point there at the end where I was actually kind of breathless with hope/disbelief/excitement and thinking “This is happening! THIS IS HAPPENING!” and Bardugo still left me wondering. Anyway, I'm reluctant to say much here, because I don't want any spoilers, so here is my best shot at being vague. Siege and Storm picks up a several weeks after where Shadow and Bone left off. This story continues with many of the same themes, but all on different, heightened levels: Alina is trying to understand her power and connection to The Darkling, where her place is with Mal, and how they are going to save Ravka from the Fold/War. The Darkling ups his game and is darker than ever. Alina ups her game as well in ways that may be changing her for the worse. 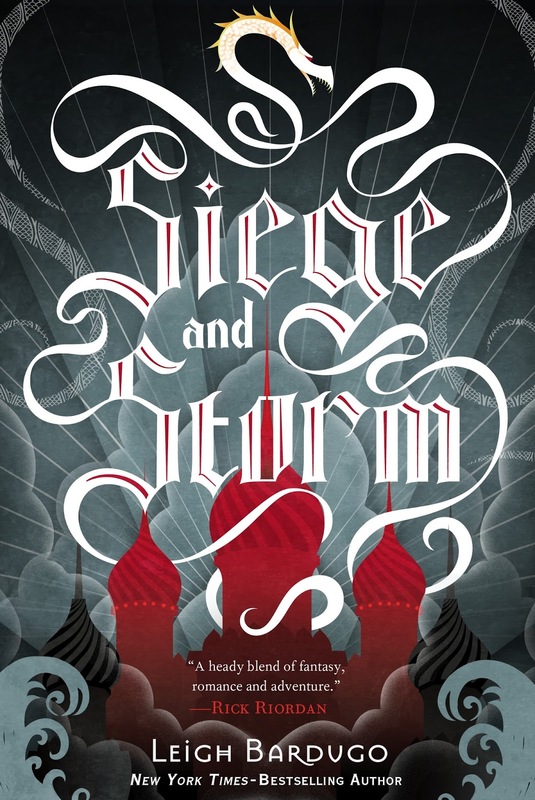 Bardugo spends her time in Siege and Storm laying the foundation for the final book, which I absolutely cannot wait to dive into. I must know how this ends for Mal, Alina, and The Darkling and I have a feeling it will be epic. I liked the introduction of Nikolai, even though I found him to be a little cliche some times. I liked the dialogue between him and Alina. It was always funny and good relief from some of the tedium that happens between Mal and Alina. Everyone’s character is growing and changing in this story. I am very curious about who grows together and who grows apart in the final book.